Janet McCorquodale was born on 2nd December 1879 at Port Askaig, Islay, Argyllshire, the daughter of a lighthouse boatman. 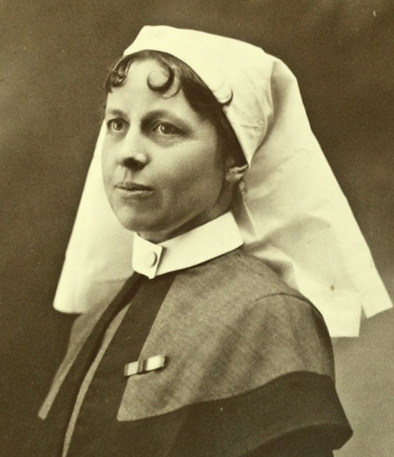 She trained as a nurse at Stobhill General Hospital, Glasgow, between February 1912 and February 1915, before joining Queen Alexandra’s Imperial Military Nursing Service Reserve a year later. 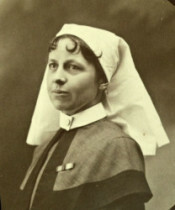 Her first posting was to Hampstead Military Hospital in June 1917, and she was later posted to France where she worked at No.3 General Hospital, Le Tréport from May 1918 until February 1919. Lighthouse-keeping must have run in the family as though her parents were both dead, her next of kin is given as her sister – the writing is difficult to read, but probably a Mrs. Thomas, whose address was a lighthouse in Montrose, Scotland.